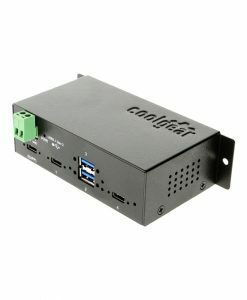 Coolgear includes optional DIN Rail mounting brackets and screws in most of its USB hubs and serial adapters. The Optional DIN Rail Brackets are used in most case to hold your USB hub or adapter in a vertical position on a DIN Rail within an equipment rack. 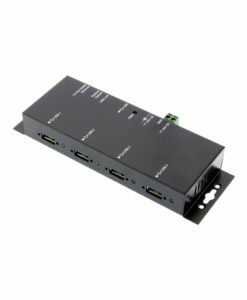 Having the option for USB hubs or serial adapters to be mounted in this way creates an opportunity to save space in your equipment configuration. Three screws in each bracket allows the hub or serial adapter to be secured and ready for connection.